Before starting my career as professional bloggger, I started looking for earning opportunities from blogging. Out of all advertising networks I have found Google Adsense as the best contextual ad network for any blogger. Since first day when I started using Adsense, Adsense is contributing recurring income to my income from all sources. 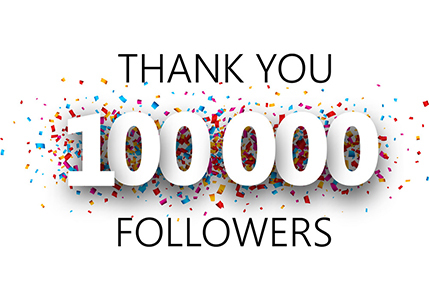 We have already talked a lot and covered articles on Adsense. So I have decided to club all of those articles here in one post and make an awesome and complete Adsense Guide, which will help any beginner to get start with Adsense. We know that Adsense is one of the best contextual ad network and easy to use and integrate. But for newbies here are many things that they are not aware of. Usually people don`t know how they can earn money online using Adsense and how to integrate it in blogs. I will try to add various Adsense tips and tricks and as much information as I can so that it will help Adsense users to double their income. One thing you should always remember : Adsense is very strict to its policies, so you should read to learn about Adsense. Google Adsense is one of the most influential and biggest contextual ad network. It works for those who work with quality not for quantity. Why Google Adsense is No 1. Before going for any ad network, you should learn why it is most popular and No. 1 ad network for blogger or publishers. 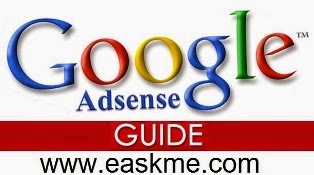 It is really easy to create Adsense account. All you need to have a quality blog with good traffic and you can easily apply for this biggest contextual ad network. Google has recently updated the account approval process and made is quite easy for publishers to apply for new adsense. Adsense TOS : Things You should Follow and Keep in Mind. Many bloggers fail to make money with Adsense because they do not follow the Adsense terms and conditions. SO it is always recommended that you should go through the Adsense terms and work accordingly. Do you know what Adsense revenue share is? If know then you should understand it. It is always said that if you wants to make more money with Google adsense, then you should work to increase CTR but according to the Adsense policies. Do you want learn how ad placement help to generate more revenue from adsense ads, then you should take help of Adsense Heatmap. We all work for money and when we know that Adsense is the best contextual ad network then you should know how to boost blogging earning. Adsense CPC also plays an important role on how much money you can make,. Here you will learn how you can improve it. Do you think that you can make money with Adsense ads only? You are wrong, Adsense offer various features to make money online such as Google search and Matched Content Ads. 50 Ways to boost Adsense revenue. Don`t just stick to ads or search options, should learn every possible way to boost your earning. Are you going to create a new blog but don``t know how to get ads on new blog when you already have an existing account. Learn the secret of how you can make money from micro niche sites using adsense. Are you not making enough money from Adsense with your existing traffic? Learn how you gonna boost your earning. CPC and CTR helps to make more money and here you can learn how you can earn around $90 or $100 per click. Adsense or Affiliate marketing : Which one to use? Not just Adsense but affiliate marketing is also there to make money blogging, let`s learn how you gonna do that. Learn the updated policies of Google Adsense. Google Adsense on New blog. Let`s get Google Adsense on every new blog from day one. Do you want to monetize your content with in-text ads also, but you are not aware, If you can use other ad network such as infolinks with Adsense? We will keep updating this Adsense guide with new useful posts and various tips. If you have any question, do let me know.